This is a guest post contributed by James Adams. WordPress makes creating a web presence easier and more economical than purchasing design time from a web professional. Thousands of templates are available, each one customizable to your needs. Your website needs to be easy to use and navigate as well as present your company's material in the best possible light. There is a vast array of WordPress themes (templates) which can do this for you. 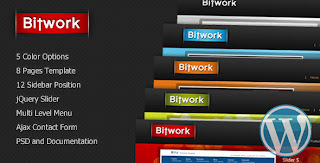 Now here are ten WordPress themes designed to make your business shine. The Movement theme from Themeforest offers a unique slider, 7 layouts and 6 different styles. There are five customizable widget panels, perfect for your company's portfolio. More options are available through the dashboard. This dynamic theme can display maps, hold subscription forms and highlight your company's recent work. 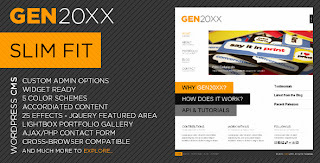 You can have different sidebars for each page using the Gen20XX theme. Possesses a Lightbox Portfolio gallery, letting you keep all of your pictures in one place. There are five color schemes available, custom sliding panels and core templates for your home and contact page. There is a jQuery featured area which offers 25 effects. Great scalability with its large picture area. You can add tooltips on the images and easily add navigation items. This theme comes sidebar and footer widgetized with its own built in custom widgets and is perfect for creating a shop or a services page, offering plenty of options. Comes with 8 pages templates, 5 color options and 12 sidebar positions. There is a contact form, multi-level menu and jQuery slider bar. 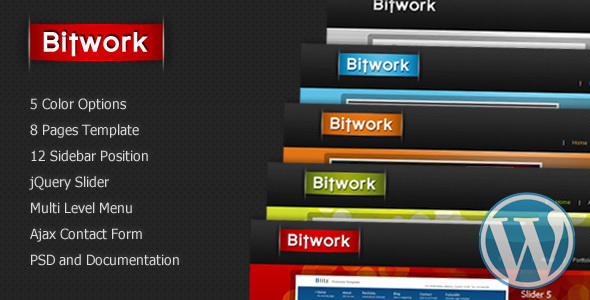 Bitwork is perfect for businesses who have work they want to display thanks to the Lytebox feature, which lets you put custom pictures into your site easily and effectively. 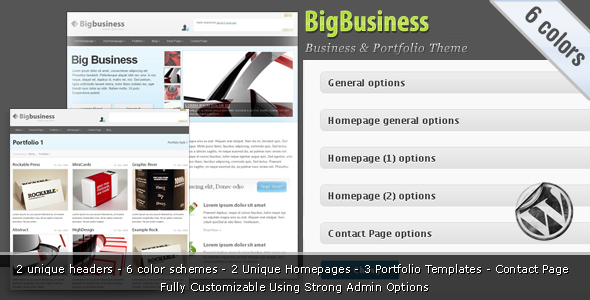 Six separate color themes come with the Big Business template. There are two different slider menus, a drop down menu and a portfolio page. A fade effect has been added for testimonial quotes. Each template comes with two headers and two homepages. Truly one of the most versatile WordPress business themes. 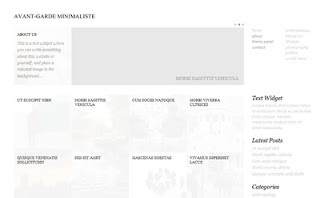 Create your WordPress powered business website with a 2 or three column layout. 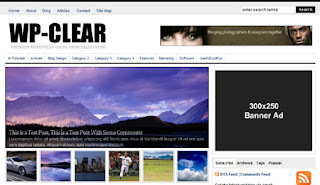 The WP Clear theme offers drop down navigation, is SEO optimized and allows you to use a magazine format for your page. This smart theme provides space for banners and widgets. The author page is built in. There is also Gravatar integration for extra ease of use. 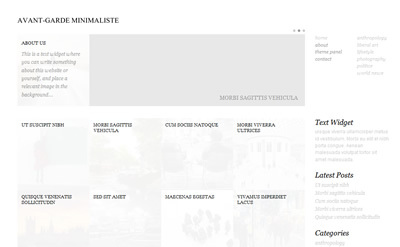 As the theme name suggests, this is a minimalist theme which highlights your contents in grids. There is a featured category slider, options for your themes, and integrated blog pagination. This theme is very useful for posting pictures and your work portfolio. 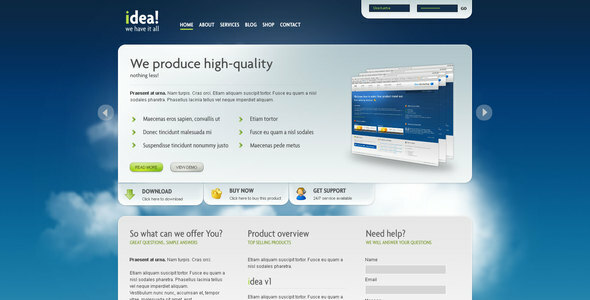 Stylish and clean, the Revival theme is easy to navigate and fast to load. Two bottom bars, a custom menu system, and a post thumbnail function highlight this theme. If your company has a few products to sell, this theme will add emphasis to their design. This theme is compatible with Opera, Netscape and Safari. Designed for the realtor community, the theme has widget ready sidebars and is advertisement ready. There are five color schemes and you can bring in custom thumbnail images. Choose to go with the blog or presentation style of site. 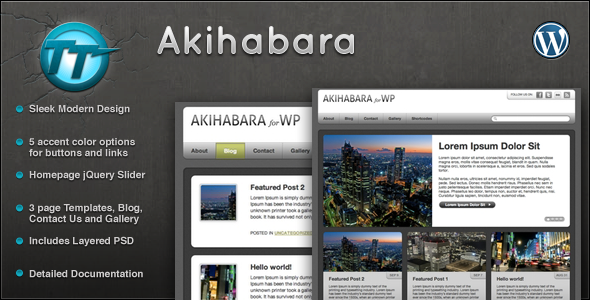 There are plenty of custom theme options with the versatile Akihabara theme. You can add footers, Google Analytics, banner ads and a custom logo. You can create five different sized columns and galleries and there is optional placement of up to eight banner ads on the blog. You can also easily showcase your best work, services and products on the homepage with the jQuery slider. 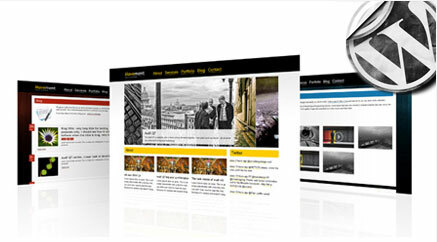 New WordPress themes are hitting the market daily. 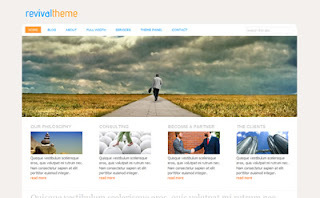 Whether you are a designer or a shoe salesman, there is a WordPress theme for you.